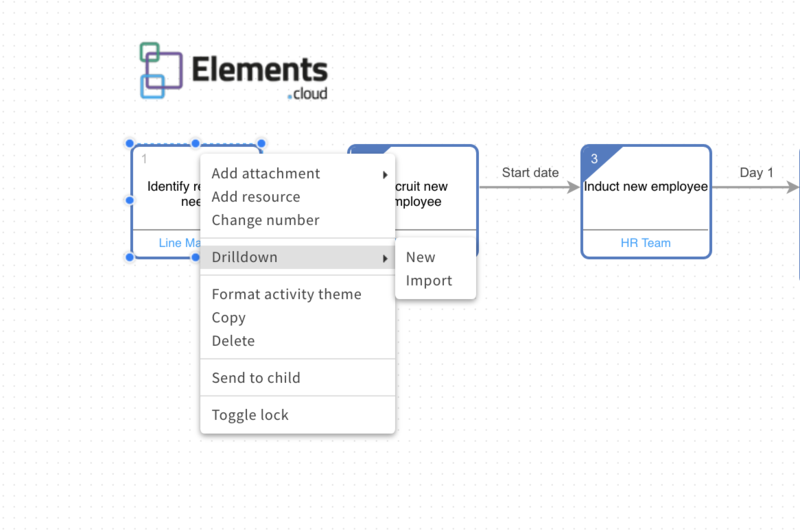 Select an activity in your process diagram that does not have a drilldown yet. Right-click on that activity and select the "drilldown" menu item. 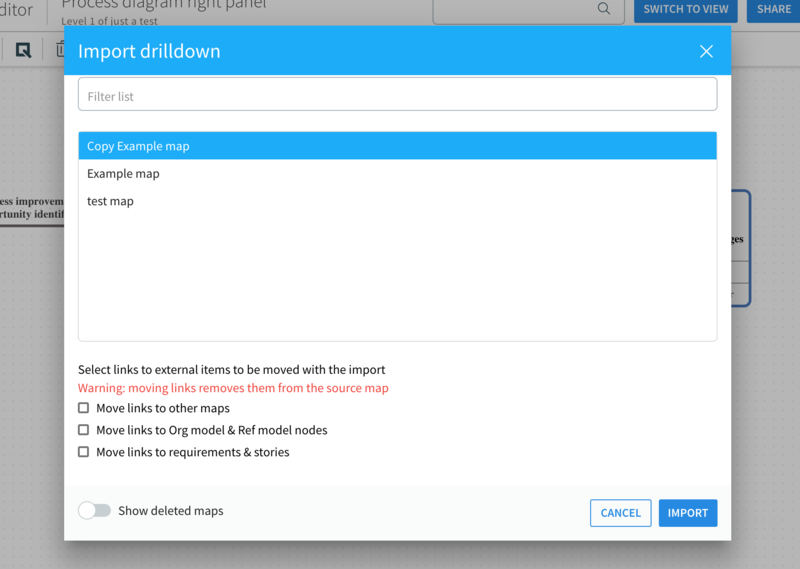 When you click "import" you will see the selection dialog with all of the maps from the current Space (excluding the one you're currently in). You can select anyone to import as the new drilldown on that activity. It will copy the contents of the map (diagram and child diagrams) underneath that activity step, as a drilldown. 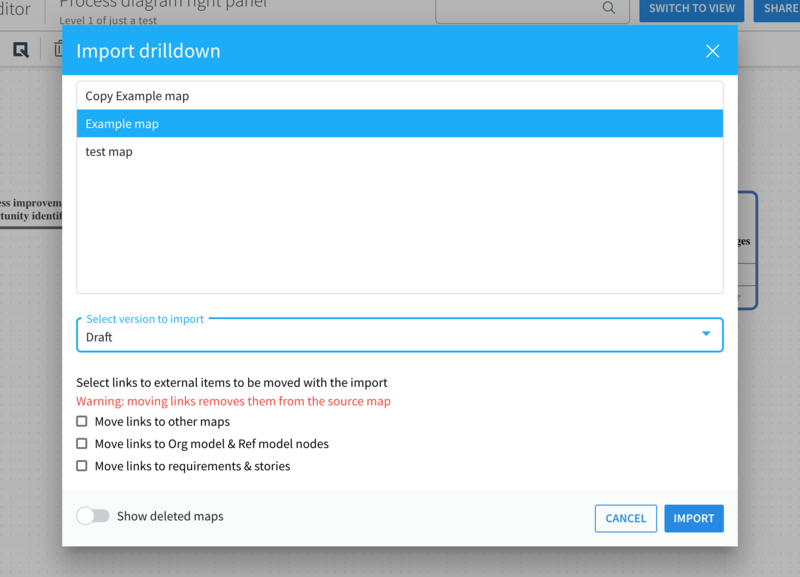 If you select a map that was published you can choose whether to create a drilldown based on a draft version of the map or the current version of the map. If the current version is selected you won't be able however to move the external links to the drilldown. 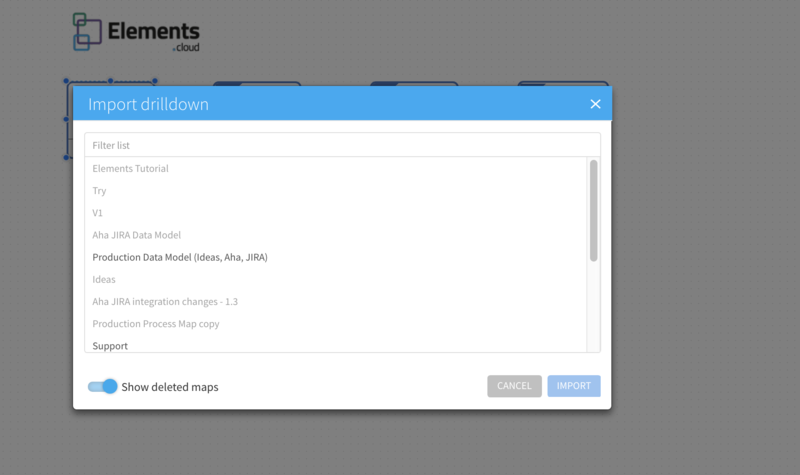 You can also toggle the switch in the lower-left corner of the window to be able to import any of the soft-deleted maps as well.